How do we keep our Supplier data up to date? How do we engage, identify, invite and manage more effectively? Supplier management software can help your organisation identify, invite and manage suppliers more efficiently. As a Director of Procurement, to ensure compliance, all your suppliers require to be managed practically and efficiently. However, with potentially hundreds or thousands of suppliers, managing them could prove to be a huge demand on your resources. If this sounds familiar, then Delta is on hand to ensure that your supplier management issues become old news. Supplier relationship management entails strategically managing all interactions with suppliers to maximise the value of those interactions. In essence, it means creating closer, more collaborative relationships to realise value. Supplier relationship management software will discipline your organisation’s processes and help your employees to strategically plan and manage interactions with suppliers. Choosing Delta eSourcing, we can help you to maximise the value of those interactions. Find out why thousands of public sector buyers choose Delta eSourcing today with a free demo. Our supplier management software allows our customers to access the information they really need when they want it. The benefit of supplier management software is that it simplifies the buying process. Our system makes sure that your business is updated with a reliable view of supplier information. By investing in supplier management software with Delta eSourcing, you will be able to compare suppliers in a more efficient way, streamlining the process for your employees. Streamline and automate your supplier interaction by directing your suppliers to complete their supplier profile. This will instantly place them on the Supplier Information Database (SID).This supplier profile is then available to populate all tender responses following the ‘do it once’ ethos, with the onus on suppliers to keep their data up to date, reducing the burden on both parties of managing changes. Encourages business readiness by providing standard SQ for completion in the form of the supplier profile. Access this ready-made supplier community and identify suppliers as part of a market scoping exercise or to invite to a mini-competition or request for quotation. As part of your supplier engagement programme we can use the Supplier Manager tool to create lists and invite suppliers to join them. The Select Supplier Information Database (SID) is at the heart of the Delta eSourcing community. It offers buying organisations a free method of managing and engaging with not only their own suppliers but also the wider supplier community. SID offers suppliers the opportunity to promote themselves to the nationwide network of public sector buyers who use Delta eSourcing daily to run their competitive opportunities or carry out market scoping. Supplier registration on Delta eSourcing is free and open to all suppliers, providing 24/7 access to a range of services. Registered – Basic contact details and business activities are detailed. Certified – Suppliers create a profile based on the standard SQ and publish this for buyers to view.  Accredited – A full assessment and third-party accreditation process takes place. This involves suppliers providing a range of documentation to support their application. The references they provide are used to determine the nominal contract value for which they have been approved to tender. Delta eSourcing’s Supplier Management software module is a web-based service which allows your organisation to engage with both new and existing suppliers. At a time when transparency and efficiency in public spending is critical, the service offers buying organisations a free method of managing and engaging with local suppliers and the wider community. The Supplier Management module provides an easy supplier/vendor management service driving suppliers to a single central hub where they register, store and manage their details and to which buyers have instant access. The list building functions provide buyers with the ability to create and manage lists of suppliers. We love hearing feedback from Delta eSourcing users. Not only does it help our team to improve our vendor management software but it means we can give our customers the best support throughout the supplier management process. Procurement teams across the UK have improved their processes using our vendor management systems. During a demo with a member of our team, we can help your business to successfully align with its key suppliers. We are constantly updating our system so we can provide software which will help your organisation to improve its supplier capabilities and reduce risk factors to your organisation. Technology can simplify the procurement process. Find out how our vendor management software can help your business today.